Lack of mentality prevents you from achieving what you desire. Overcome it by building competence, and start to obtain results bit by bit, little by little. What do you mean when you ask about overcoming lack mentality? One block that can get in the way of solving a problem is not being clear about the problem. I assume that when you say you want to overcome a lack mentality it’s related to a specific issue. However, you may not want to say the true words because they are too heavy to admit. A prevalent lack mentality is thinking “I am not good enough.” Let’s use this problem as the basis to understand what we can about overcoming lack mentality. Is your lack mentality preventing you from achieving your goals? Thinking that we aren’t good enough is a problem because it prevents us from doing the actions and taking the risks necessary to achieve our goals. This mentality can keep us stuck where we are and unable to move in any direction because we think we don’t have the knowledge and skills. In some cases, it is a matter of what you know (knowledge) and what you’re capable of doing (skills). In this case, the solution is to gather more information and train your capabilities to the threshold that you feel is enough. However, you may still feel like you don’t know enough or capable enough. Feeling not good enough tricks us into thinking that we can’t develop into a better person than we are right now. It makes us give up before even trying, and therefore we are guaranteed to fail. Failing and not trying reinforces the thought that we aren’t good enough. We get trapped in a vicious cycle. The answer is to not see ourselves as not good enough, but as not good enough yet. This shift is a key distinction that may seem similar at first glance, but is significantly different when you practice it. The difference is that if you only think that you’re not good enough, you’re setting a trap for yourself. What happens after you say you don’t have the skills or knowledge? Does it inspire you to obtain the necessary information and capabilities, or does it only reinforce your image of unworthiness? Reinforcing the image of unworthiness becomes your goal when you say you’re not good enough. You put yourself in a place that has no other paths to take. You enter the trap you set up yourself and then you justify it by placing the blame on external conditions, such as not having access to the right information, not knowing the right people, or not having the right skills. How do we know that it’s a trap? Because knowledge, skills, and connections are all obtainable. That’s why we say we aren’t good enough yet, because we will be good enough at some point. I believe that a good opportunity lasts for a long time (it’s not a fad that disappears quickly), so there’s no rush to race towards it. Therefore, we can take the time to be good enough for the opportunity we want. There is no reason to say that we are absolutely not good enough. Since, as human beings, we can grow and learn and adapt to various situations, we can be sure that at some point we will have the correct knowledge and skills to pursue and manifest what we want, as long as we continue to move. On the other hand, we can’t say that we are good without a reason either. We need some competence to verify that we are good at some level. But obtaining some competence is not as difficult as we think. Competence means having a combination of knowledge, skill, and experience. At any subject, we begin with zero competence, but we can build competence at become good at it. 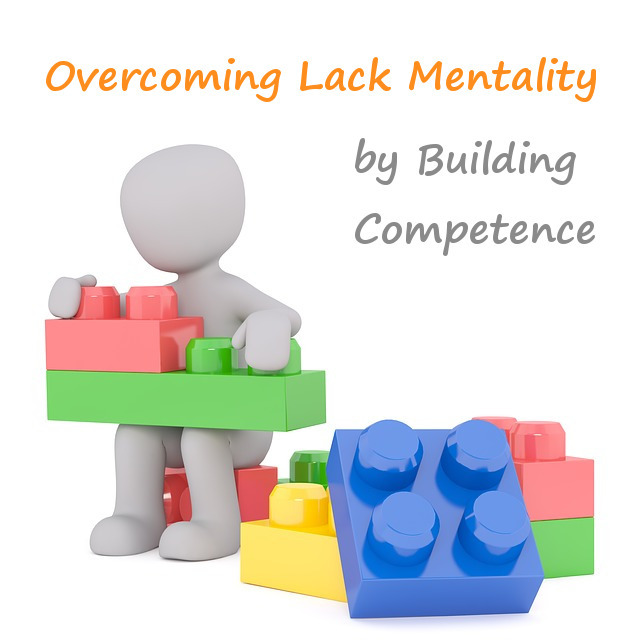 Building competence is how we overcome lack mentality by gathering information, training our skills, and meeting people. The challenges that we face can feel overwhelming at first. But that only happens when we believe that we’re stuck and there’s absolutely nothing else we can do. The result is that we tell ourselves that we’re not good enough, and it makes us give up and believe we can’t change our lives to be better. When we begin with the understanding that there is always something we can do, there is always some competence we can build and measure accurately, there is always someone we can contact and ask for help (even though they may reject us), we see that we aren’t trapped at all and thinking “I’m not good enough” is a mental trap that has no reason whatsoever. This mentality applies to other areas of life where we might feel not good enough. We might feel that we don’t have enough money (which can be true), or that we aren’t smart enough or good looking enough to attract a romantic partner. 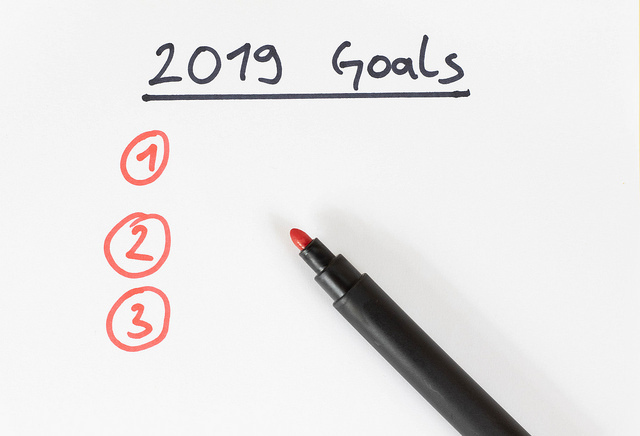 But we can say that we don’t have enough money yet, or we aren’t smart enough yet, or attractive enough yet, and start to figure out what competence to build to support those goals. We can begin to generate money, bit by bit, either by saving, budgeting, reducing expenses (at the cost of reducing your lifestyle), or working a part-time job. We can begin learning to be smart, by reading a few articles or chapters or even paragraphs per day. We can begin to buy new clothes, go to new places and enjoy new experiences, or mix and match our old clothes and do new activities where we live. When we take action, we send the message that we are being better, day by day. It erases the mentality of lack that traps us into thinking we are not good enough and there’s nothing we can do. Once we reach a certain competence, we get some results that show us we are good enough. When we look at what we have, the options are limited. But when look at what we can do, the options are limitless.